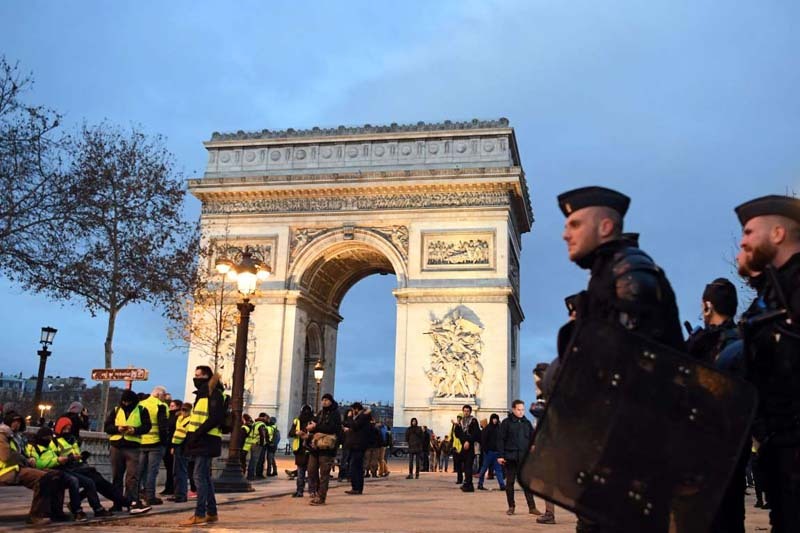 Protesters played a cat-and-mouse game with riot police, moving from the heavily guarded Champs Elysees area to other parts of the city, setting cars, garbage bins and wooden shutters on fire. More than 30 people were injured. 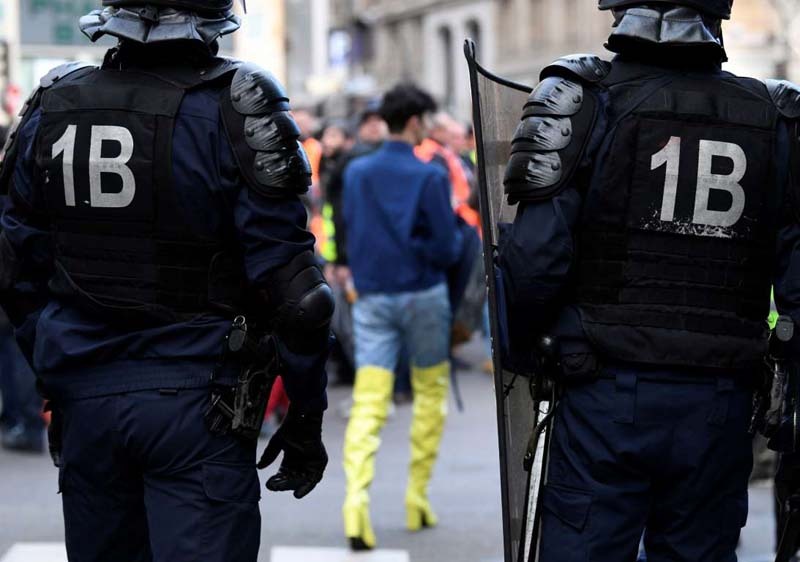 Authorities said some 8,000 people were demonstrating in Paris, where 600 people had been searched and briefly arrested. More than 500 of them remained in custody after police found they carried potential weapons such as hammers, baseball bats and metal balls used in the French lawn game petanque. Some 31,000 people were demonstrating across France. 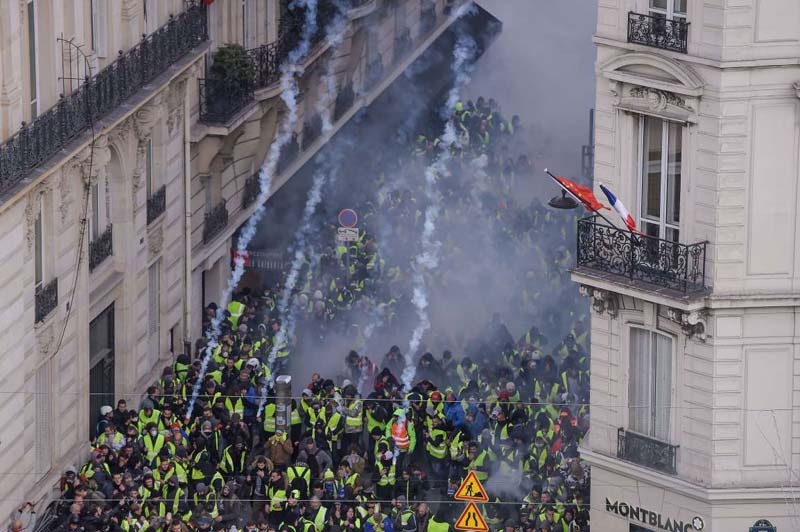 Police fired tear gas, used water cannon and horses to charge at protesters, but there was less violence than last week, when rioters torched 112 cars and looted shops in the worst rioting in Paris since May 1968. A police source told Reuters he feared that things would get out of hand after nightfall. Large groups of people were heading to eastern Paris, where a march against climate change was under way. 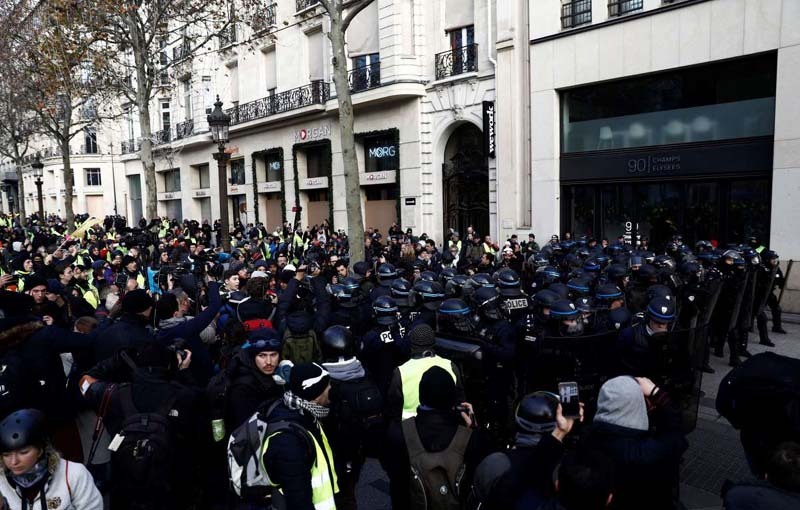 Armed police vehicles were seen breaking up makeshift barricades in the upmarket shopping district around Boulevard Haussmann, where supermarkets were looted and several cars were set on fire. On Tuesday, Philippe announced the government would suspend planned fuel tax increases for at least six months to help defuse weeks of protests, marking the first U-turn by Macron’s government since he came to power 18 months ago. Tourists were scarce and residents were advised to stay at home if possible. Dozens of streets were closed to traffic, while the Eiffel Tower and museums such as the Louvre, Musee d’Orsay and the Centre Pompidou were shut. “Tourists are a bit disoriented - no subway, no shopping, no museums... but they seem to take it in their stride,” said hotel receptionist Pascal, who declined to give his surname. The protests, named after the high-visibility safety vests French motorists are required to keep in their cars, erupted in November over the squeeze on household budgets caused by fuel taxes. Authorities say the protests have been hijacked by far-right and anarchist elements bent on violence and stirring up social unrest.